Real Escapes Properties proudly offers "Island Time". This 2,000 square foot single family home located in Demere Retreat Landing Subdivision has four bedrooms and 2.5 bathrooms. 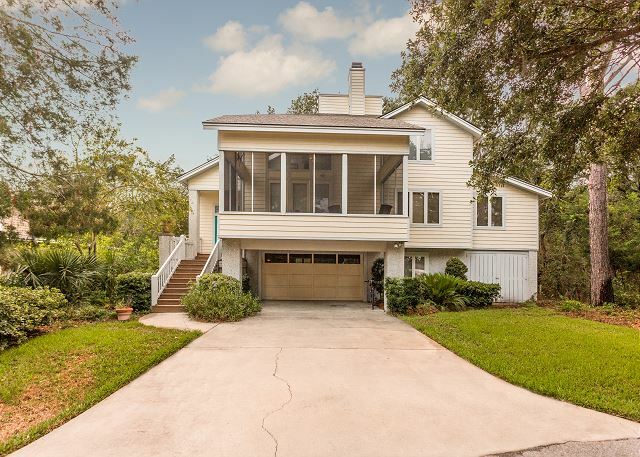 The home is two levels and is located less than 1/4 of a mile to St. Simons Island's best beaches and the Old Coast Guard Station. With Island Time's spacious open floor plan, it creates the perfect place for a family or large group to catch up on some much needed R&R. 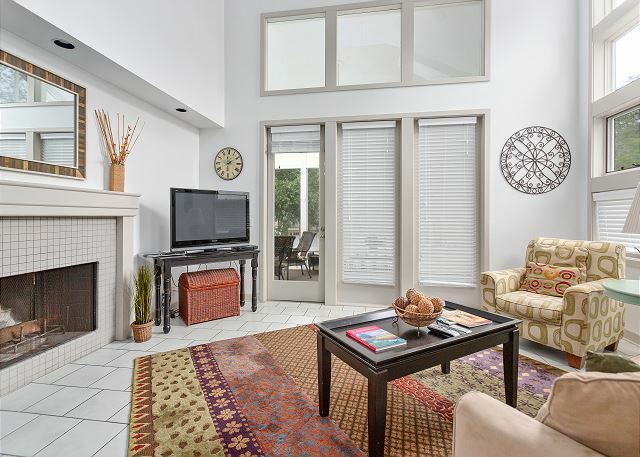 Passing through the entryway, you are led into the bright and airy great room which features a vaulted ceiling, a 40” flat screen TV and DVD player. 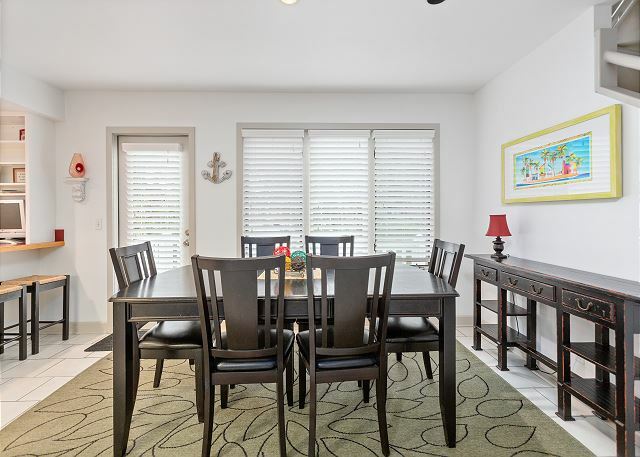 To the left of the Great Room is the well equipped kitchen and adjoining dining area with comfortable seating for six. 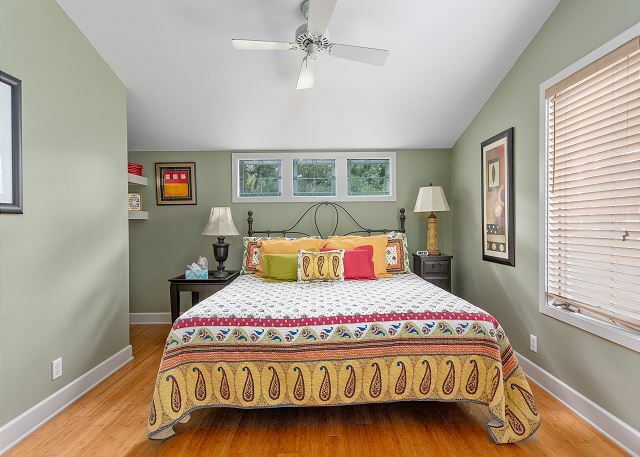 Also located on the main level is the Master Bedroom with a King sized bed and features a large sitting area as well as an en-suite bathroom with a spa tub, a walk-in shower and double vanities. A size-able screened porch located off of the great room has plenty of room and lots of seating for your guests. 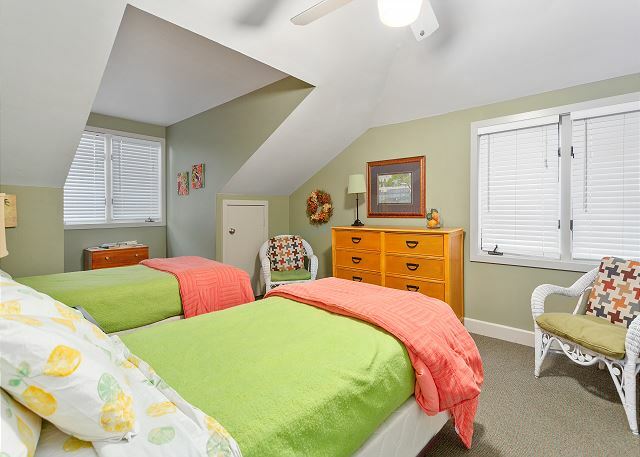 Of the additional bedrooms, one has a Queen-sized bed, one has a day bed with trundle and the last bedroom has a set of twin beds - plenty of room for family and friends! There is an attached two car garage along with extra parking spaces in front of the home. In addition, there is a charcoal grill and bicycles for guests to use. This house has Wireless Internet access and three televisions. * Close to the beach! Real Escapes made this rental easy. We had a 6 hour drive so we were thankful that pick-up of our keys/packet was simple enough. I met "Mary" at the office...she was there on another matter, but it was nice to meet her. This house was absolutely perfect! We,the adults, the baby AND the dog, loved everything about it! It was well equipped for our stay..there were even 9 bikes in the garage! The house was beachy yet all the little touches made it feel so homey!! There were books and games for everyone. The location is great! Our most favorite thing about this fabulous house is the big screened porch. We spent so much time there, the neighbors probably got tired of hearing us sing to our little one "If you're happy and you know it, clap your hands." LOVED this house! We really enjoyed the house as it was spacious, close proximity to the beach. The house was perfectly sized and stocked for an extended family vacation. The location was close to the beach and downtown - the bikes to use in the garage were a nice bonus, too. The screened in porch was wonderful, although in July it was sometimes too hot out to fully enjoy. Would definitely recommend to a friend, and consider staying here again if ever back in the area. This was an extended stay (about 30 days) for me as I was working at FLETC. The home is beautiful and very spacious. I didn't need to bring anything; everything was provided including a full kitchen with plenty of pots/pans/utensils to cook. I loved the fact it was located at the end of a cul-de-sac. The neighbors were great, and it was very quiet. Located just down the way from the Coast Guard Station and beach access. The only thing I would recommend is having the area rugs and carpets deep cleaned or replaced to remove the slight pet urine odor in the home. I bought some carpet fresh and air fresheners which helped. Overall, I had a great stay and would stay there again. Thank you for a lovely vacation. Our house was perfect, with spacious rooms, beautiful views to greet us every morning, Everything was spotlessly clean. Thank you, Jan, for always being available to answer our questions. We had great food at Barbara Jeans, at Boulevards,and at the fabulous restaurant two doors down from Boulevards. The walk to the beach with my two puppies every morning was a pleasure. Even other dog owners on St. Simons are friendly, even at 7:00 a.m.
We were very pleased with the house. Nice flow plan and comfortable for all (6yrs.-65+). Thanks for the bikes. We enjoyed riding to the beach. Great Location!! The house was what I expected and more. We had a great stay at Island Time Cottage. The house was great and very welcoming. 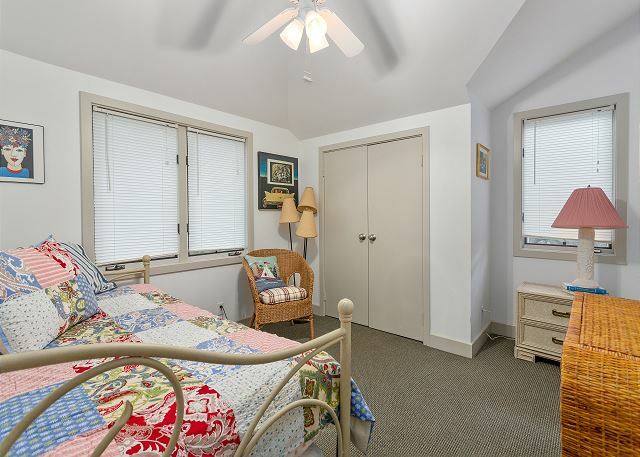 It is very close and within walking distance to the beach. There are lots of restaurants and shops a short drive away. Would love to stay here again. property and management are first rate. we really liked the property and will come again. it is a fabolous place making you feel home. owners are taking excellent care of it and ensure that guests are happy. we truly enjoyed it. organization was also perfect. If you want quiet, convenient and close to the beach this is a great place.